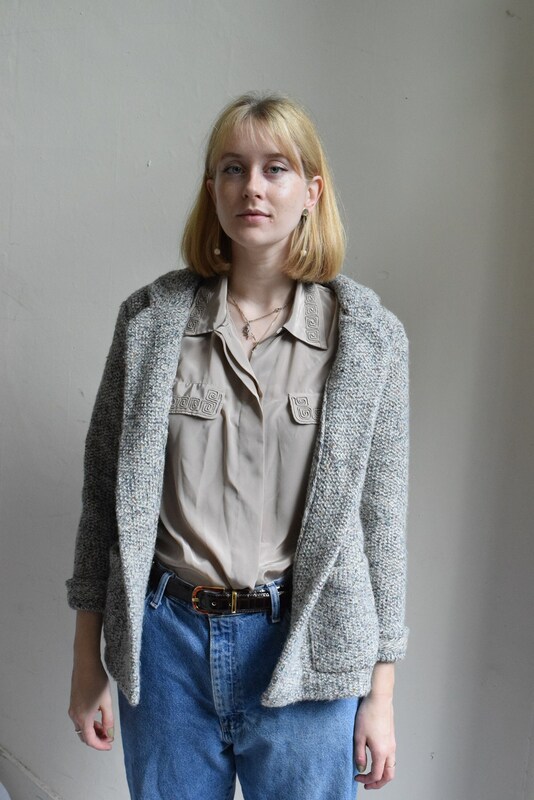 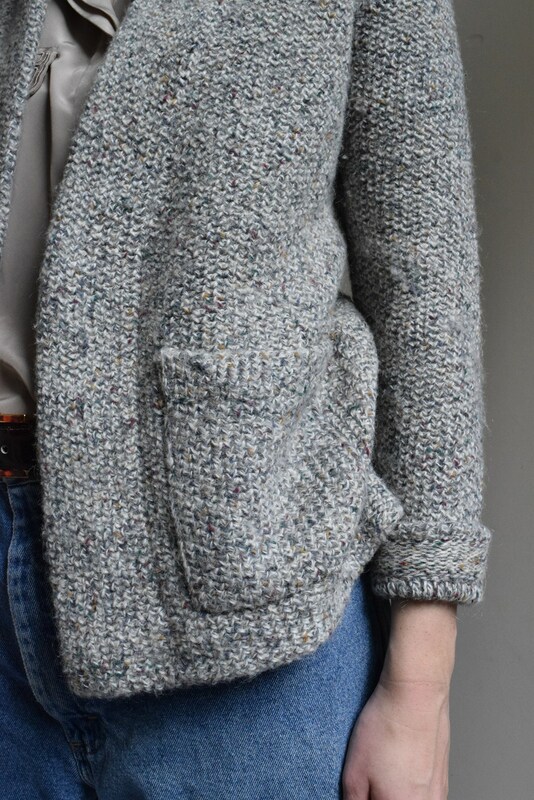 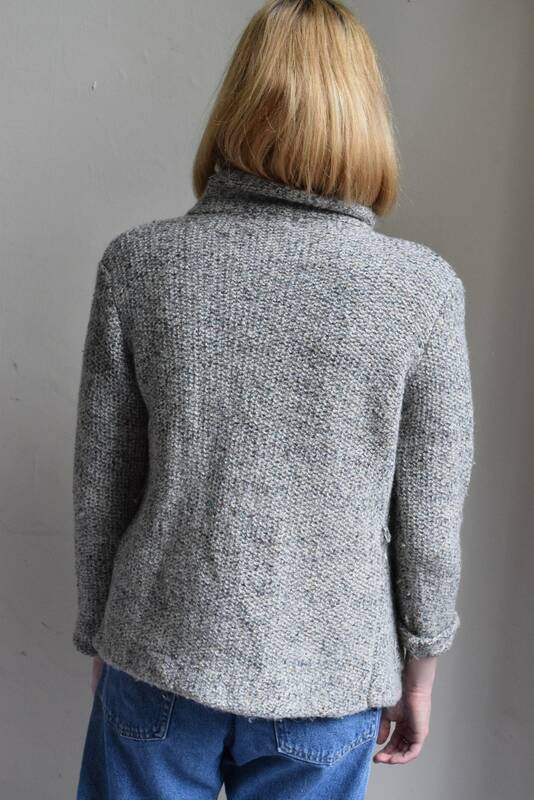 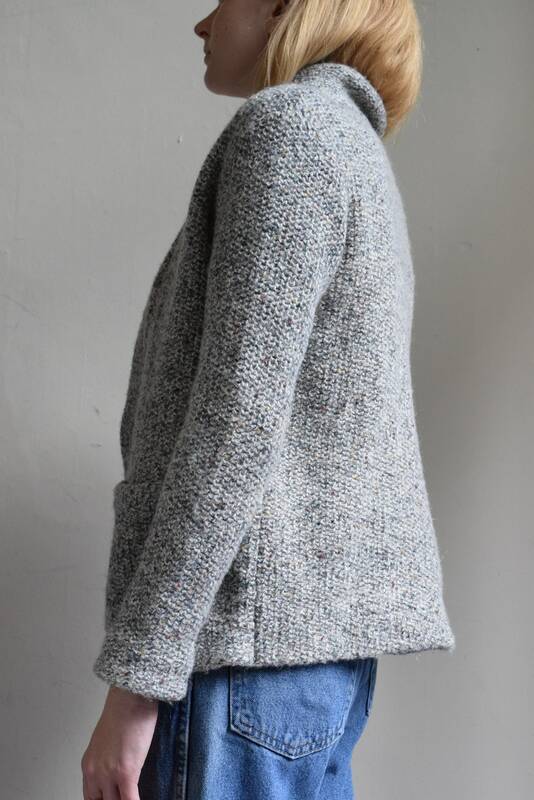 Speckled grey Woodwards knit cardigan with two small pockets. 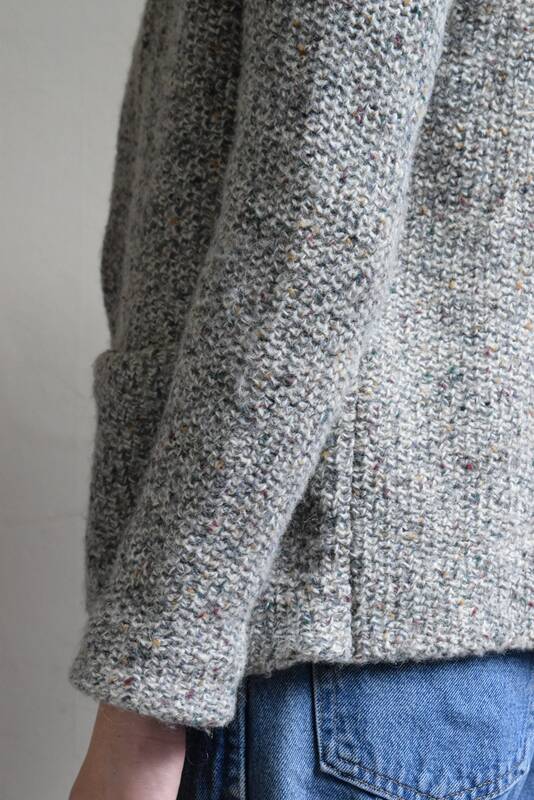 Knit collar, sits open, material is medium weight and has small muted flecks of colour. 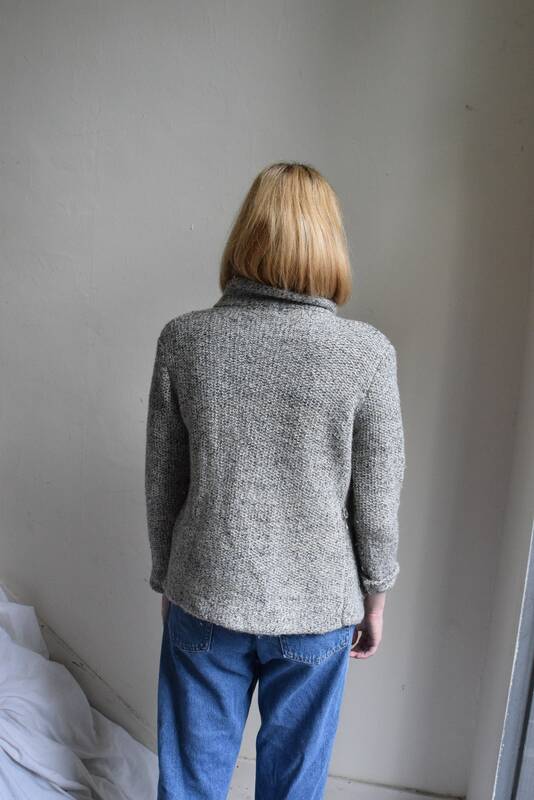 26% wool, 53% acrylic, 11% mohair. 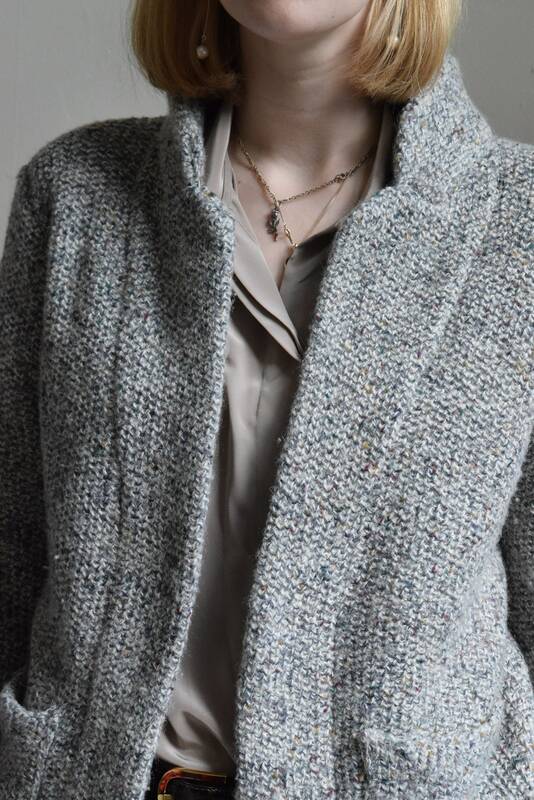 Neck 18" || Sleeve length 22" || Bust 40" || Hip/Waist 40" || Length from back of neck 29"